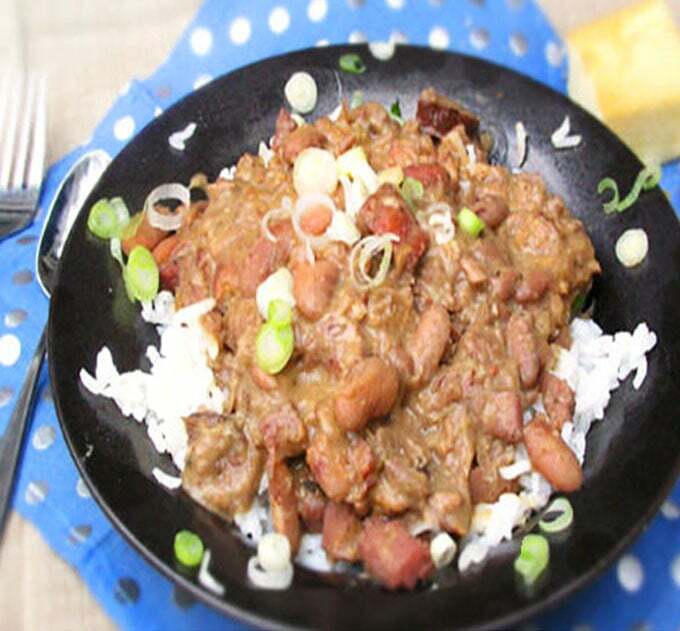 Red beans and rice is a Louisiana classic that’s not to be missed! Luckily, it’s easy to cook at home. Smoky sausage and aromatic vegetables infuse this rich comforting meat and bean stew with tons of flavor as it simmers in spicy broth. Once you try it, you’ll want to make it a regular in your cooking repertoire. I’m not sure Red Beans and Rice would be in my cooking repertoire if my oldest son had chosen a different college. When he was making the all-important decision, I was totally focused on the education part for him and not so much on how much fun it would be for me and the rest of the family to visit. When your son ends up going to school in New Orleans the perks for the family are big – especially when it comes to food! When we dropped him off at Tulane freshman year, our whole family flew down to New Orleans five days early to explore the city, starting with a culinary tour of the French Quarter. We ate our way from turtle soup to pralines – a really fun way to learn about the history of a city! As I learned on the tour, the foundation of flavor in Cajun and Creole cooking is created by sautéing the aromatic vegetables. Many countries have their own unique combinations of aromatics to flavor their traditional dishes. New Orleans is testament to how multiculturalism can translate into amazing food. 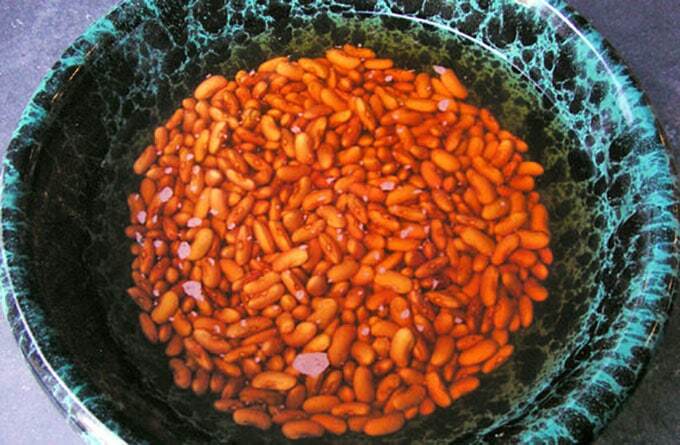 Red Beans and Rice is an example of Louisiana Creole cooking, which has roots in the cooking customs of the French aristocracy that settled in New Orleans at the turn of the 18th century, merged with the vast and varied ingredients and techniques brought by settlers from other lands, including Spanish, German, Native American, African, and Italian. Spaniards brought peppers and spices, Germans brought sausages and delicious baked goods, the Native Americans grew corn and beans, Africans brought Okra and so on. There are so many wonderful foods that New Orleans has made famous, but there’s something simple and wonderful about a smoky, creamy, meaty pot of red beans and rice. It’s a perfect comforting stick-to-your ribs winter dish. It doesn’t look fancy but the flavors and textures are exciting. Speaking of exciting, New Orleans will very soon be buzzing with the excitement of Carnival season, starting on January 19 with the first parade, and culminating with Mardi Gras (or “Fat Tuesday”), the last day of the Carnival season, on Tuesday February 12th. To add to the fun, smack in the middle of all of the Carnival hoopla, is Superbowl XLVII, which takes place on February 3rd in New Orleans. If you aren’t able to hop a flight to New Orleans for all of the festivities, at least cook up a pot of red beans and rice for the big game. You’ll be communing with lots of other folks in New Orleans who will also be enjoying this traditional Mardi Gras fare. Here’s the recipe for Red Beans and Rice. If you try this recipe, I hope you’ll come back to leave a rating and a comment. I’d love to know what you think! Kidney beans are simmered with smoky ham, sausage and aromatic vegetables for this delicious Louisiana-style comfort food. Heat oil in a large cooking pot or dutch oven over medium heat until hot but not smoking. 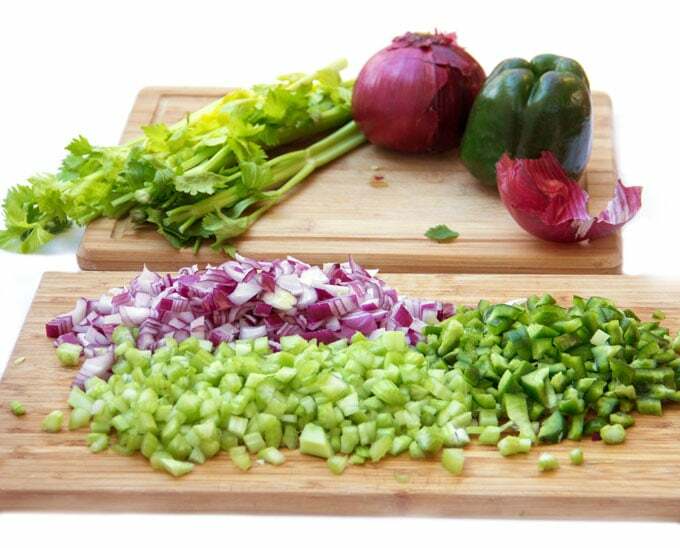 Add chopped onion, celery and green pepper and sauté, stirring frequently, for 5 minutes, until vegetables start to soften. Add bay leaves, salt, pepper, thyme and cayenne and stir through. Add chopped ham and sausage and cook, stirring frequently, for 4 minutes or so, to brown the meat. Add garlic and cook, stirring for 30 seconds. Add the drained beans and 9 cups of chicken broth. Turn up heat and bring to a boil. Turn down heat to a simmer and cook for 2 hours, uncovered, adding broth or water (1/4 cup at a time) if beans start to dry out. Remove pot from heat. Using the back of a wooden spoon against the side of the pot, mash half of the beans. Stir everything together. Return the pot to a low simmer, adding more broth or water (1/4 cup at a time), if the beans are looking too dry. Simmer for another 15-20 minutes or until the beans are tender and creamy, adding extra broth or water, if needed. Salt to taste. Serve over rice with chopped scallions to sprinkle on top. Enjoy! Great recipe! I am from New Orleans and I love Red Beans and rice! Just happened to be scanning through recipes when I saw this one and its very close to my own. One extra thing that helps me if I don’t have time to soak my beans is to cover them with water in a large pot, add 3 or 4 bay leaves and bring to a high boil. Lower fire to a simmer and let cook for an hour. Remove from fire and place a lid on top and then prep my seasoning and meats. Then proceed just as this recipe says except I add chicken bouillon cubes instead of broth. Cuts out 30 min of cooking time and still taste like N’awlins! I love to eat Persian food! !” For sure I’ll fix them for my girls!!! Thanks for sharing.. I went to Tulane and you really do appreciate the food more when you live there. It’s amazing. Our Christmas food transitions were completely transformed, thanks to my studies at Tulane!! 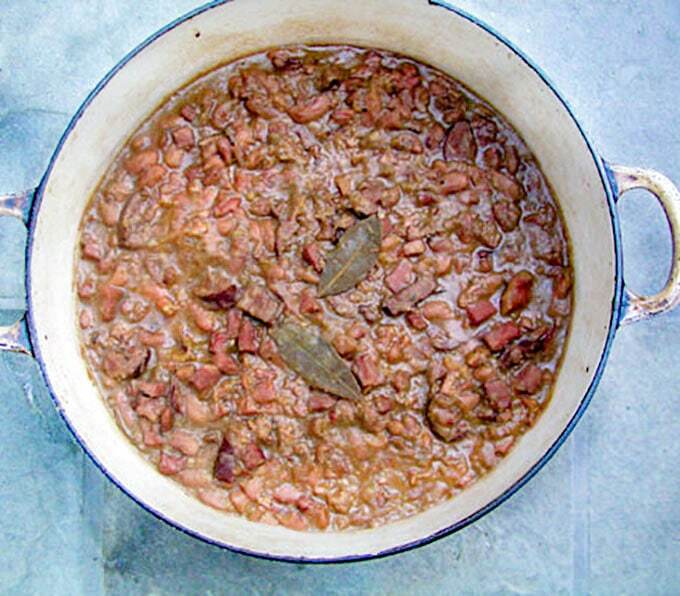 I am in the midwest but from NOLA and was looking for a good southern red bean recipe and this looks just like my moms…Tasso would def make this better but good luck finding it anywhere but southern Louisiana! Thanks Ill be making this for Monday night football 9/30 per New Orleans tradition! Enjoy Lauren! Two of my kids are at Tulane. I’ve become a huge fan of New Orleans – such a great city! Great recipe – simple, delicious and comforting! 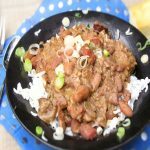 We all love beans in my family, but had never made the New Orleans version – thanks for posting, will make it again! I’m going to give this a try while the kids are still at home: thanks! The taste of new Orleans yum!